Grab a jacket and an umbrella as you head out the door Friday. A severe thunderstorm warning has been issued for southeastern Imperial County near El Centro until 3 p.m. according to the National Weather Service. Roads were slick Friday morning as rain fell across the county for a second day. California Highway Patrol officers advised drivers to check their windshield wipers before getting in the car. 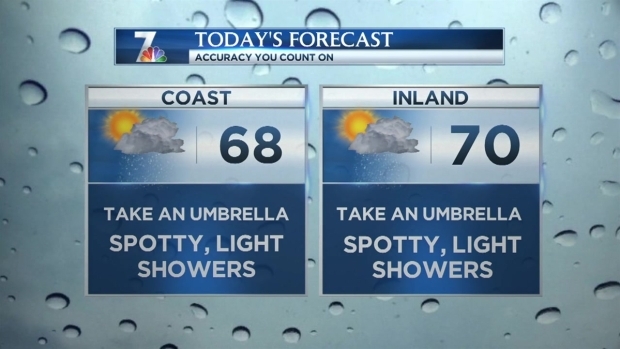 Light rain with low temperatures were in the day's forecast, NBC 7 Meteorologist Jodi Kodesh said. Residents should expect those scattered showers throughout the day with a second, more powerful, storm bringing rain and possibly thunderstorms over the weekend. 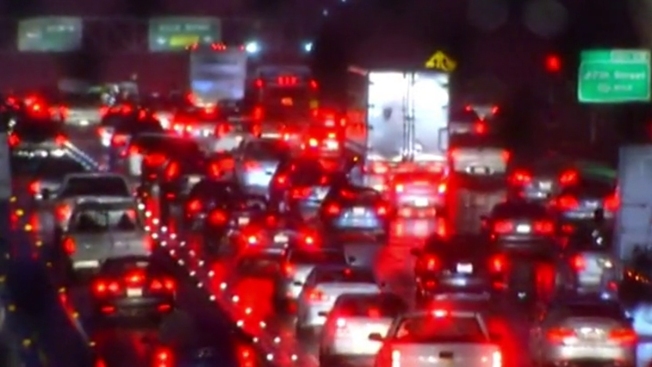 The National Weather Service recorded .23 of an inch of rainfall in Alpine, Escondido, La Jolla, Leucadia and Rancho Bernardo and .44 of an inch in San Carlos as of Thursday afternoon. Download the free NBC 7 mobile app to stay updated on weather conditions.